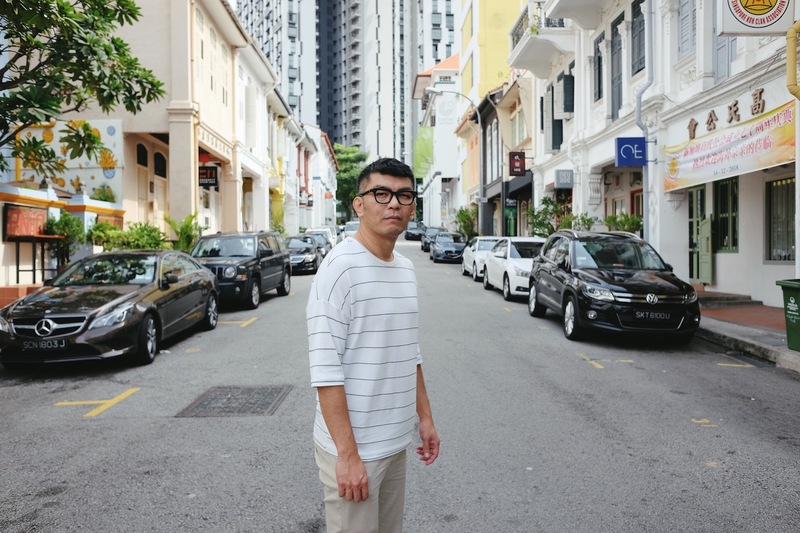 Singapore’s landmass is twenty-two per cent reclaimed, a fact that doesn’t escape the supposed main character of A Land Imagined, hard-boiled insomniac detective Lok (Peter Yu). Less than an hour after watching the movie, I find myself sitting down with Singapore’s latest international-film-festival-awardee, director of A Land Imagined, Yeo Siew Hua. I wanted answers; after watching the film, trying to put it into words was like pouring sand to fill an ocean—fittingly the entry-point for the film’s narrative. Of all the things to make a movie about, I ask Siew Hua, why reclamation? Siew Hua explains that in the past, countries were divided by geographical features: rivers, mountain ranges, coastlines. But this isn’t the case anymore. This ‘imagining’ is especially relevant in Singapore, a nation of immigrants (recent or former), where demographics can be determined, quite literally, by the visa system. In a way, he says, the very notion of ‘Singapore’ is fashioned out of public policy, hence the film’s title. Nothing represents this interplay of geography, policy, and nationhood quite like the mountains of sand we’re dumping into the ocean. 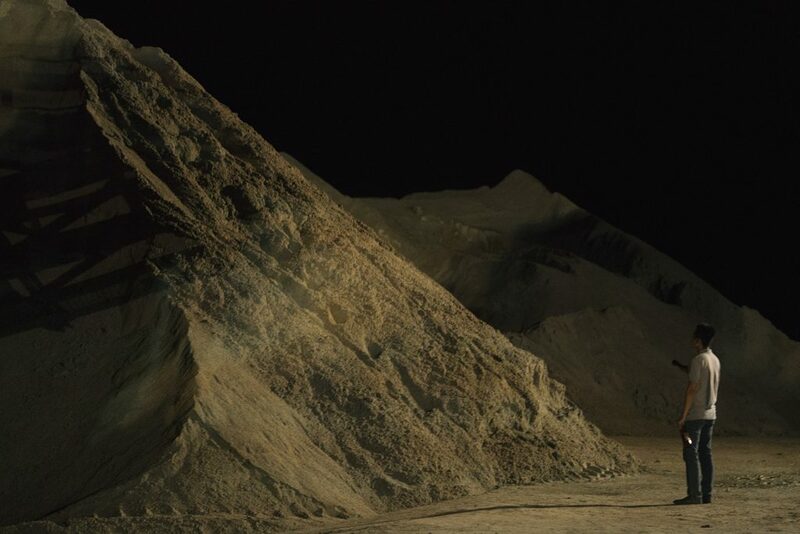 To counter this, many of the film’s shots follow the industrial processes of land reclamation in all it’s stifling, deafening, dehumanising glory. It’s this line of thought that led him to consider the human hands behind reclamation. 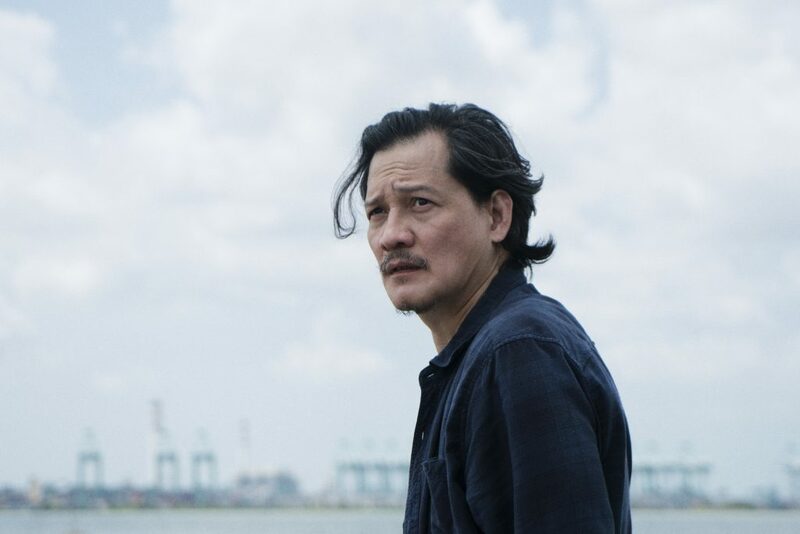 Unusual for a noir film, A Land Imagined also tells the story from the perspective of the John Doe, Wang Bi-Cheng. Before his disappearance, he’s injured in an accident and gets put on driving duty, striking up a friendship with an amicable Bangladeshi worker named Ajit (Ishtiaque Zico). His nights, however, are sleepless, so he frequents the nearby cyber-cafe run by the ethereal Mindy (Luna Kwok). 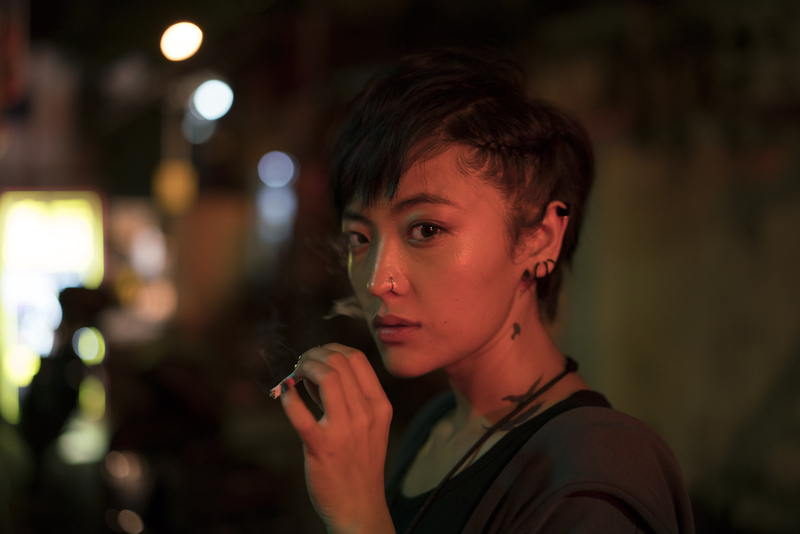 Wang’s relationships with Ajit and Mindy make up a significant portion of the film, as Siew Hua blurs the lines between reality and dream. These plot points did not spring from Siew Hua’s mind fully-formed. In researching the subject of his camera, he spent two years hanging out with foreign workers on weekends, immersing himself in their community. 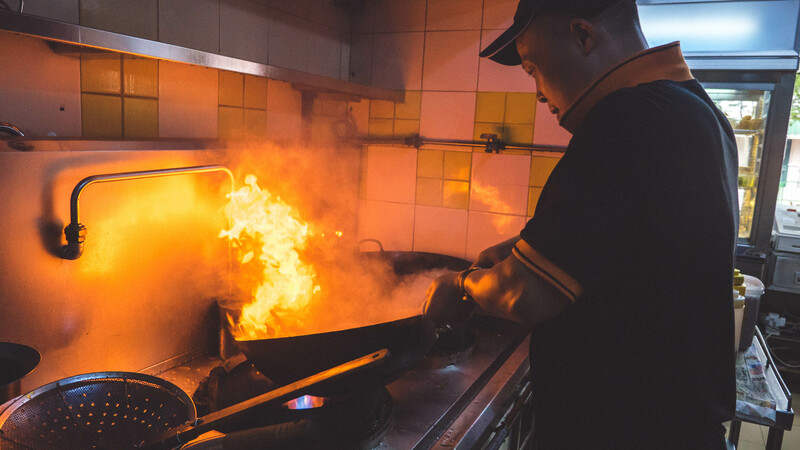 As he learnt more about foreign workers, Siew Hua felt that something was amiss in the media coverage surrounding them. That’s why the film tries to views migrant workers not as foreign, or pitiful, but merely as human. In this vein, the characters participate in numerous communal dances; each set to a song of the different languages spoken in the film (Bangladeshi, Mandarin, English). “Dancing is trance-like. [You] stop thinking about ‘you’re a worker, I’m a local’; we are just moving bodies to the beat.” Siew Hua feels that one of the main messages of the film is the common humanity shared by migrant workers and locals. The selection of genre was necessary for this very reason. I point out that we don’t associate a Singapore film with the detective noir genre; why, then, did he decide to venture off the beaten path? It’s one part documentary, one part noir, one part surrealist psychodrama; perhaps that’s why the film resembles, as The Hollywood Reporter put it, ‘a few genres tossed together into a cement mixer’. Throughout, fantastical sequences are interspersed with naturalistic scenes or conversations, causing reality to bend over backwards. Meanwhile, the story is never fully explained. The main plot seems but window dressing on the sidelines of Wang and Lok’s psychic adventure. After a while, I gave up following the narrative path and just sat back to enjoy the ride. In one memorable, trance-like scene, Wang is playing an early version of Counter-Strike (CS), when the first-person camera begins to glitch through the terrain, swooping through the virtual air and ground. Under a resonant soundtrack, accompanied by Wang’s narration, the film produces a hypnotic, thoroughly bizarre effect from this very technical glitch. Movies have, for years, been trying to depict the intricacies of the virtual world, with mild to moderate success. The film’s depiction of cyberspace struck me, a self-described film enthusiast, as a moment of incipient brilliance in the art of film—not just in Singapore, but worldwide. Hours after watching the film, its iconic magenta-violet hues are still dancing on my retinas, superimposed over dull-as-ditchwater panoramas of industrial machines grinding endless dirt. In a way, this colour cacophony is a fitting metaphor for A Land Imagined: soothing, yet invigorating; verisimilar, yet dream-like; dissonant, yet harmonious (yes, I too own a thesaurus). An inherent tension tears at the film, thematically, narratively, even visually, but I can’t decide whether it’s utter madness or utter genius. Maybe both. If you can’t already tell, this is not your typical film. Admittedly, enjoying it requires an open mind. I ask Siew Hua why he chose to make a film that can be described as ‘art house’, which typically has but a niche audience amongst local movie-goers. He does, however, admit that he’s deviated quite a bit from standard film conventions that moviegoers here are accustomed to. This is, ultimately, what makes the film worth watching—it’s something novel, something strange, something wonderful, and I left the theatre uncertain but enriched. Uncertain, only in that I was unable to identify what exactly it was that had enriched me. Yes, it is a Mandarin-language film, but as a member of the non-Chinese community, I can vouch for the simple and effective subtitling. Besides, the visuals speak more than dialogue ever will. A Land Imagined is now showing at Cathay, Golden Village, and The Projector.